Brightens as it cleans. Cleans above and below the waterline. Kills 99.9% of viruses and bacteria when used as directed. Cleans as it disinfects. Thick 9.5% hydrochloric acid formula is packaged in an angle-neck bottle. Will not harm plumbing or septic systems. 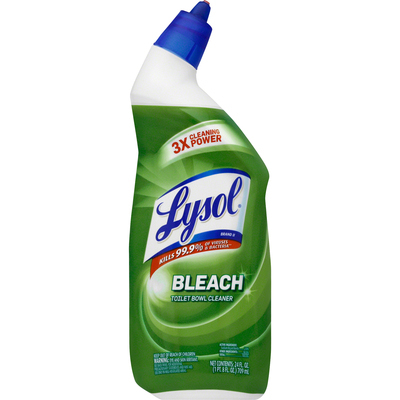 Cleans as it disinfects by killing 99.9% of viruses and bacteria when used as directed. The thick 9.5% hydrochloric acid formula packaged in an angle-neck bottle brightens and cleans above and below the waterline and will not harm plumbing or septic systems. Use on toilets or urinals.